BOSTON, March 6, 2018 – PAREXEL International Corporation, the world’s leading innovator of biopharmaceutical services, today announced the appointment of Jamie Macdonald as Chief Executive Officer (CEO) effective March 15, 2018. Josef von Rickenbach, who co-founded the Company, will retire from his daily CEO duties and continue as Chairman of the Board. Mr. Macdonald led INC Research, now known as Syneos Health, for several years first as CEO and most recently as Vice Chairman. Under Mr. Macdonald’s leadership, INC Research delivered industry-leading growth and margins, experienced strong operational and market performance, and undertook a successful Initial Public Offering (IPO) in 2014. Prior to this time, he served as INC’s Chief Operating Officer. 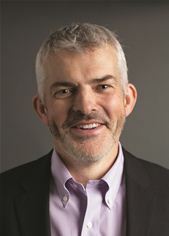 In addition, Mr. Macdonald has held several leadership positions in the biopharmaceutical services industry, including Senior Vice President and Head of Global Project Management at Quintiles, now known as IQVIA. He served as Chairman of the Association of Clinical Research Organizations (ACRO) Board of Directors in 2015. Mr. von Rickenbach co-founded PAREXEL in 1982 and has since served as Chairman and CEO, building the company to a valuation of over five billion dollars with operations in more than 100 countries. A native of Scotland, Mr. Macdonald has held several global positions throughout his career. He will be based at PAREXEL’s corporate headquarters in Waltham, Massachusetts.